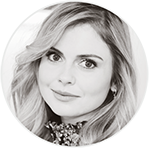 Rose McIver talks to Zap2it! Recently, Rose McIver gave an interview to Zap2it foer her return this Sunday, as ‘Tinker Bell’ in ‘Once Upon A Time‘. Here’s the full exclusive post. Everyone’s favorite fairy is back on “Once Upon a Time” this Sunday (April 6), and not a moment too soon. Now that Regina (Lana Parrilla) knows her one true love is Robin Hood (Sean Maguire), she needs a little encouragement to go after her own happiness … and that’s a job for Tinker Bell (Rose McIver). And now that Tinker Bell has her powers back, she’ll be able to help her fellow Storybrooke residents a lot more than she has been able to in the past. “Once Upon a Time” airs Sundays at 8 p.m. ET on ABC. Comments to Rose McIver talks to Zap2it!